Medical malpractice laws seem to be constantly up for debate because of the amount of money doctors and insurers spend to make their positions known to lawmakers. Unfortunately, this situation has led to the passage of laws that often favor doctors and insurers over the lives of injured patients. Consequences from an injury caused by a doctor’s negligence can persist long after the physical harm has healed, by making these victims less likely to seek medical intervention in the future. However, receiving compensation for these kinds of injuries can return some level of comfort, and help the injured to see this tragedy as an isolated incident. While the lawmakers are in charge of making laws, the courts decide how they are interpreted and applied. If a court disagrees with the language or effects of a law, it can invalidate or limit its reach. In the area of medical malpractice, the Florida Supreme Court recently issued decisions that directly impact how medical malpractice cases are litigated, and are more favorable to an injured party’s rights. An overview of these recent decisions and how they are likely to impact future malpractice cases will follow below. No medical facility will ever be able to completely eliminate harmful medical events due to human fallibility. These incidents are referred to as adverse medical events, and Florida law requires all medical providers and facilities to report such occurrences to the Florida Department of Health. 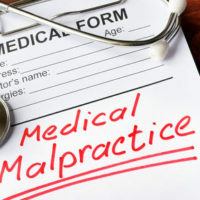 For purposes of medical malpractice lawsuits, records related to adverse medical events could help plaintiffs show that a particular doctor or facility has a history of causing harm, which suggests negligent practices and/or a need for oversight. In addition to the Department of Health, adverse incidents are also reported to Patient Safety Organizations (PSOs), entities created by federal law that collect and analyze adverse medical incidents to help develop better patient practices. To motivate medical providers to divulge this information, the reports are considered confidential and not subject to disclosure in lawsuits. However, the Florida Supreme Court issued a decision that said adverse incident reports to a PSO are not excluded from disclosure because state law requires healthcare providers to track and report this information. Further, Section 25 of the Florida Constitution grants patients the right to access medical records related to adverse incident reports, which is not expressly overruled by the federal law. Thus, this decision should make it possible for injured parties to gain access to these additional reports as part of building a case. the provider must agree to assume most of the arbitration costs. The takeaway from this case is that healthcare providers must include the arbitration provisions specified in the Florida statute, especially those that protect the plaintiff, if they want the agreement to be valid. Medical malpractice injuries can dramatically transform a person’s life overnight, and leave the person with a lifetime of debilitating ailments. If this tragic event happened to you, talk to a medical malpractice attorney about holding the doctor accountable. The Miami attorneys at the law firm of Pita Weber Del Prado are well versed in Florida’s complex medical malpractice laws, and can help you get compensated for your injury. Contact us today for a free consultation.